Oberboihingen, February 2016 - More than 470 exhibitors will be represented at the 6th PaintExpo at the Karlsruhe Exhibition Centre from the 19th through the 22nd of April, 2016. Companies from 26 countries will present the world's most comprehensive offerings for the optimisation of liquid painting, powder coating and coil coating processes on more than 13,200 square metre (142,000 square feet) of net exhibition floor space. Innovations and further developments ranging from pre-treatment to quality control for practically all materials and material combinations will be unveiled. 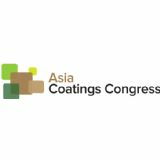 Industrial coating technology will be the centre of attention at the Karlsruhe Exhibition Centre from the 19th through the 22nd of April, 2016. 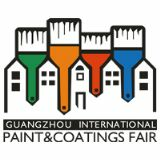 More than 470 companies will present products, processes and services at PaintExpo for the further enhancement of quality, material and energy efficiency, flexibility and sustainability for liquid painting, powder coating and coil coating. Roughly 31% of the exhibitors come from outside of Germany and a total of 26 countries are represented. With net exhibition floor space amounting to more than 13,200 square metre (142,000 square feet), the 6th leading international trade fair for industrial coating technology will be bigger than ever. Visitors from companies with in-house painting operations and from job-shop coaters will be awaited by multi-sector offerings for a comprehensive range of materials which are unparalleled around the globe. The exhibition programme includes systems and application technology, pre-treatment and cleaning, paints, drying and cross-linking systems, conveyor technology, automation solutions and painting robots, measuring and test equipment, quality control, environmental engineering, accessories, consumable materials, packaging and services. "The exhibitors will showcase innovations, further developments and new trends in all of the trade fair segments. And not just as product displays, but rather with numerous live presentations", reports Jürgen Haußmann, managing director of event promoters FairFair GmbH. For example, solutions targeted at integrating Industry 4.0 into the paint shop will be shown. And the latest developments for coating and curing geometrically complex parts with UV technology will be demonstrated live on-site. A fully automated, compact powder coating system will be operated at PaintExpo as well. And things will get set into motion at various booths with companies from the field of conveyor technology. Additionally, visitors will be able to gather information on just how agile, flexible and easily programmable today's painting robots are directly at the source. For the first time ever anywhere in the world, a system for cleaning conveyor system chains, for example as used in Power & Free conveyors, will be introduced at PaintExpo. It can be used in running production lines and contributes to the minimisation of costly scrap and rework caused by falling contamination. Visitors will also be awaited by processes and products for more efficient and ecological cleaning and pre-treatment such as newly developed liquid paints and powdered enamels with optimised decorative and functional characteristics. Innovative and advanced paint guns and atomisers provide for increased material efficiency, quality and ergonomics where the application of these coatings is concerned. 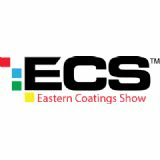 They usually don't receive a great deal of attention but they're indispensable for reliable and efficient painting and coating processes: new developments in the areas of precipitation systems, test and inspection systems, accessories such as covering materials, painting hangers and pumps, as well as paint stripping and packaging solutions. PaintExpo will take place at the Karlsruhe Exhibition Centre from the 19th through the 22nd of April, 2016. 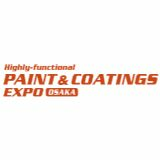 The leading international trade fair for industrial coating technology will be open Tuesday through Thursday from 9 a.m. to 5 p.m., and on Friday from 9 a.m. to 4 p.m. Further information and the exhibitor list can be accessed at www.paintexpo.de.